AHCA Infection Preventionist Specialized Training (IPCO) Model Offered to KAHCF members. Click here for information. Are you interested in presenting a program for the Kentucky Association of Health Care Facilities? In addition to our fall Annual Meeting and Quality Summit conference seminars, KAHCF offers over 20 freestanding educational programs each year on a variety of topics and for a wide range of audiences. 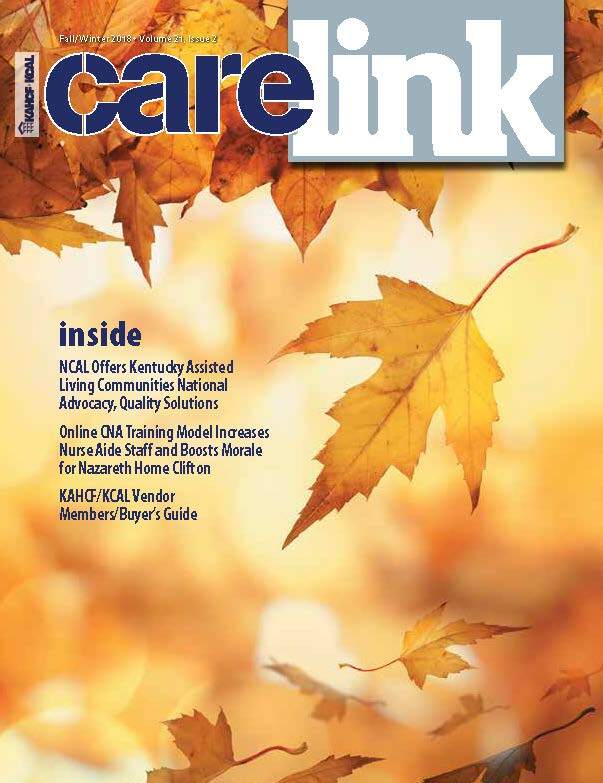 Established in 1954, the Kentucky Association of Health Care Facilities (KAHCF) is the trade association that represents the proprietary and nonproprietary nursing facilities and personal care homes across the Commonwealth. The Kentucky Center for Assisted Living (KCAL) was established in 2018. One of the state affiliates of the American Health Care Association/National Center for Assisted Living, KAHCF/KCAL provides a wide variety of services to member facilities including legislative and regulatory activities, professional development, statewide recognition programs, publications, media relations, research, and advocacy relations. Learn More! AssuredPartners serves more than 1,000 nursing homes in 22 states. Services to help control the bottom line and enhance resident care include exclusive insurance programs for Property, Professional Liability, Workers Compensation, Auto and Employee Benefits. Other services are Clinical Risk Management, Captive Programs, Claim Administration and Loss Prevention Consulting. AssuredPartners is also the Kentucky contact for HealthCap.